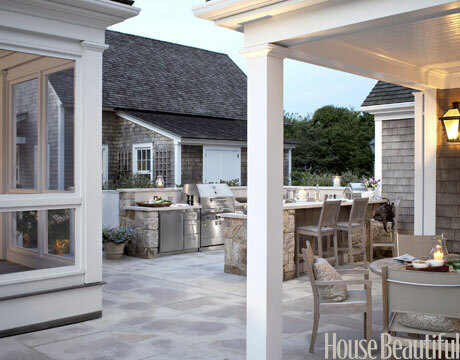 Check out this Outdoor Kitchen that I saw on House Beautiful's website today. The countertops are a honed granite. There are more pictures of this beautiful kitchen on their webisite, go here to check it out. My favorite part is the teak topped beverage cooler. Another great find! 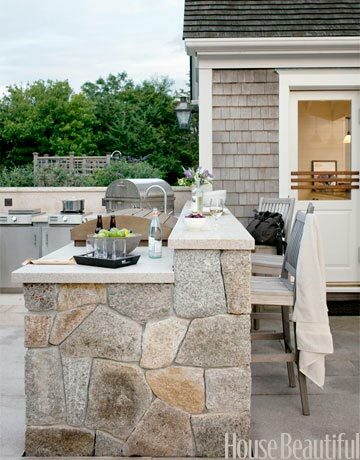 Outdoor kitchens add another dimension of sophistication to any home!